Who in the world would have thought the Wild Cards would come down to the final day? Just a few weeks ago columnists were lamenting the lack of any pennant races when all 8 playoff spots looked locked up. Now we have FOUR do-or-die baseball games tonight. All going on at roughly the same time (three 7:10 and one 8:10 start). Get your MLB network channel listed (its 213 on Directv) because it will probably do drop ins all night ala the Red Zone channel. Anyone want to offer predictions on these four games? Here’s your probables tonight per si.com and mlb.com (since si.com doesn’t list all the games). 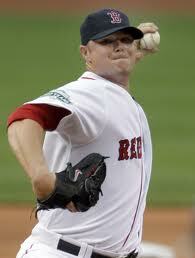 Boston at Baltimore: Lester vs Simon. Boston gets its ace, and its one remaining halfway decent starter, with the season on the line. But he’s *really* struggling down the stretch and has gotten more or less hammered in his last three starts. And will be going on 3 days rest. Simon is only marginally better in September and had a mediocre season. Prediction: Boston in another 8-7 drama-filled slugfest. New York Yankees at Tampa Bay: TBA vs Price. The Yankees are probably starting a Sept 1 call up, prepping their rotation for the playoffs, while Tampa gets its ace. Prediction: easy win for Tampa. St Louis at Houston: Carpenter vs Myers. Another “ace versus ace” in name only; Carpenter is clearly the superior pitcher here. However Myers is finishing very strong. St Louis unloaded on Houston pitching last night for 13 runs an 17 hits, but tonight’s game will be low-scoring. Prediction: Cardinals get to the Houston bullpen and win a low-scoring one on Carpenter’s complete game. Philadelphia at Atlanta: Blanton vs Hudson. Philly starts Blanton, who is not even in the rotation any longer, in what will be a bullpen, get guys some work, setting things up for the playoffs. Meanwhile Atlanta sends out its Ace. Advantage Atlanta. If the Braves get 3 runs early, Hudson gets the win (he’s something like 146-1 in his career with a 3run lead or more). Prediction: Atlanta in an easy victory. Boston would travel to Tampa Bay: Either Wakefield or Lackey would go on 3 days rest versus (likely) Neimann for Tampa. I say likely since Neimann only went a couple innings in his last start. Tampa could also go with Matt Moore, who only had 15 kis in his first 9 1/3 innings pitched in the majors. Advantage clearly to Tampa Bay here; Boston can barely put together a playoff rotation right now, let alone guarantee a couple more wins this week. Atlanta would travel to St. Louis: It would probably be Brandon Beachy vs Kyle Lohse. Young strikeout guy versus crafty veteran. I’d say advantage goes to St. Louis. If St. Louis makes the playoffs watchout; they beat the Philles 6 out of 9 in the season series, have the pitching and have the managerial advantages to go far. No matter who takes either wild card, they’re all at major disadvantages heading into the playoffs. All four have burned their aces this week just to get to the final game and thus are only guaranteed one start in a playoff series from their best guy. Meanwhile the division winners they’d likely face are all setting up their playoff rotations well. Something to take into consideration for those that want to predict a wild-card divisional series winner. I’m pretty excited for tonight actually. How about you guys?